European leaders are gathering in Brussels to discuss whether to rubber stamp the Brexit transition deal and clear the way for trade talks. Theresa May said agreement on the 21 month implementation period would allow talks on the future trade relationship to be triggered later this week. 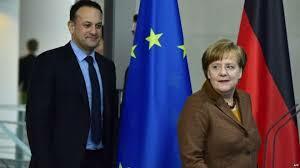 The EU’s Donald Tusk said he had recommended EU leaders welcome the transition deal “in practice”. But the PM is under pressure not to concede any further on UK fishing. The UK is set to leave the 27-nation bloc on 29 March 2019, but earlier this week Brexit Secretary David Davis and EU chief negotiator Michel Barnier struck a deal that would allow for a transition period until December 2020. Under the terms of that joint legal text, the UK will be able to negotiate, sign and ratify its own trade deals, while EU citizens arriving in the UK will enjoy the same rights and guarantees as those who arrive before Brexit. To the dismay of some of her Conservative MPs, the UK will effectively remain in the Common Fisheries Policy until the end of 2020, while a solution to avoid a hard border on the island of Ireland has yet to be agreed, with the EU insisting on a “backstop” option of Northern Ireland effectively remaining in the customs union and parts of the single market. The prime minister told the Commons that for the first time in 40 years, Britain would be able to “forge our own way by negotiation our own trade agreements”. However, she faces warnings that the deal could be scuppered by her own MPs unless she tears up “unacceptable” proposals for fishing. Some 14 of the PM’s backbench parliamentary allies – 13 Conservatives and one DUP MP – have signed a joint letter denouncing the draft deal agreed by the government earlier this week. One of those, the DUP’s Brexit spokesman Sammy Wilson, said Scottish, Northern Irish and English MPs with coastal communities had laid down a “marker” with the prime minister. He said she needed to make “it quite clear that after the transition period we will have total control of our waters and we’ll no long allow the EU to plunder our fishing grounds”. BBC political editor Laura Kuenssberg said the fishing issue “doesn’t feel like an enormous problem” at this moment but “the prime minister doesn’t have a majority on her own and if enough of the DUP and enough of those new Scottish MPs really do threaten trouble further down the tracks, she may have no choice but to listen”. Meanwhile, Mr Tusk took to Twitter to urge the other 27 EU leaders to welcome, in principle, the agreement on transition and other matters at a session expected to take place on Friday. “In practice, the transition phase will allow to delay [sic] all the negative consequences of Brexit by another 21 months,” he wrote. He told reporters he was “absolutely sure” the two sides would find a last solution to prevent the return of physical checks on the border between Northern Ireland and the Republic of Ireland. A written declaration issued by the European Council on the eve of the summit called for “intensified efforts on the remaining withdrawal issues, as well as issues related to the territorial application of the Withdrawal Agreement, notably as regards Gibraltar, and reiterates that nothing is agreed until everything is agreed”. There have been complications over the British overseas territory, which will leave the EU on the same day as the UK, in the run-up to Thursday’s meeting. At the UK’s request, Gibraltar was specifically mentioned in the transition text but Spain, which maintains a long-standing sovereignty claim, subsequently sought reassurances that its interests would be protected. Also on Friday, the EU is set to adopt guidelines for its negotiations over its future permanent post-Brexit relationship with the UK.